As History.com notes, on this day in 1788 the United States Constitution was ratified. 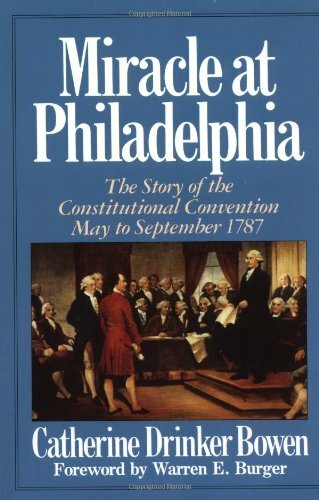 And you can learn more about the Constitution by reading Catherine Drinker Bowen's Miracle at Philadelphia: The Story of the Constitutional Convention, May to September 1787. I wonder if it is time for a Constitutional Convention, as some have been arguing, in order to craft an even more perfect union. And I wonder what the drafters of the Constitution would think of some of the amendments, some of the USSC's rulings about Constitutional issues, some of the fundamental problems in the three branches of government, and the epidemic of extra-Constitutional regulatory abridgments of Constitutional rights. Sometimes the here and now of American government gives me a very big headache, and I think the founding fathers would be aghast at the U.S. in 2017.